French supermiddle Medhi Bouadla takes on Estonian Dimitri Protkunas on Friday (Sep 16) in Riga, Latvia, in what is his first fight since losing to Mikkel Kessler in June. If all goes well Bouadla will challenge for an I/C or Int´l title of some kind October 22. 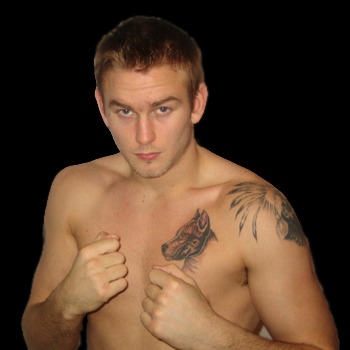 Swedish heavy David Loy (photo), 3-1, is returning home after a stint in Florida. Loy, managed by Thomas Hickey, will nurse an injured foot, have some paternal leave and is expected to be back in action later this fall. The Jimmy Lange vs Raul Munoz was sanctioned by an American version of the WBU and have apparently nothing to do with the WBU that is based in Germany. Estonian supermiddle Anton Sjomkin was scheduled to take on Pole Mariusz Cendrowski over eight on the undercard to Klitschko vs Adamek this past weekend. As it was Cendrowski vs Sjomkin went ahead as a swingbout scheduled for four and Anton was floored in the first and last rounds but got to fight in front of a full house as this bout became the last prelim to go ahead before the main event..
Martin Rogan have pulled out of the scheduled EU title fight against Bulgarian Kubrat Pulev. Rogan vs Pulev was scheduled for October 22 on the show that is now to be headlined by WBO cruiser king Marco Huck and is moved from Halle / Westfalen to Ludwigsburg. Who Pulev will fight isn´t clear yet. WBC cruiser champ Krzysztof Wlodarczyk defends the title against Danny Green in Perth November 30. -We accepted this fight as it was the best offer on the table, comments "El Diablo´s" promoter Andrew Wasilewski, who also writes off the much talked about tournament at cruiserweight. -It won´t happen, at least not now, I don´t know why but I believe there wasn´t enough money to do it. Unbeaten but untested Finnish supermiddle Niko Jokinen take on still tough Belgian veteran Mike Algoet on the undercard to Shafikov vs Lauri September 23 in Helsinki. Heavyweight Jarno Rosberg square off against Brit Paul Butlin. Klitschko retained the WBC heavyweight title with a one sided tenth round stoppage of the capable but too small Adamek, who tried lateral movement and quick counters. Nothing worked though as the much bigger champ cut the ring off and found the range with a clubbing jab and a heavy right. Adamek almost floored in the second with only the ropes holding him up and it got worse in the sixth and this time the ref counted. Onesided but Vargas made the one-dimensional Wawrzyk look bad. Vargas retired claiming a busted eardrum in the ninth. Swingbout, first scheduled for eight then to either six or four and became the fight just before the mainevent. Sjomkin down in the first and last. WBFed female jr welter title. 100-90, 100-91 and 98-92.